There are so many Warhol books! About Andy Warhol, The Factory, and His Circle! I thought we might use our few weeks here in Warhol MOOC for we, the students & staff of Warhol MOOC to crowdsource a list of short book reviews. If you’ve read a book please list your info in the comments below and I’ll add it to this list. This is indeed a treasure book. 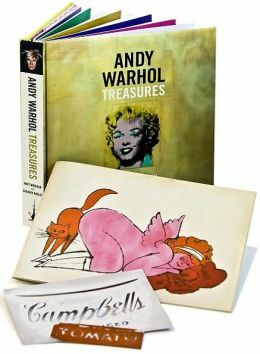 Not only does it delve into Andy Warhol’s past with history on the city of Pittsburgh, his religious upbringing and artistic influences, it is a treasure trove of little bits of facsimiles of what Warhol did and little sneak peeks into his world. For instance, in the section 1950-59 there is a copy of some of his graphic design as well as a facsimile of a newspaper clipping showing an auto accident that he used in his death series. When we get to the 60′s we can look at his passport. Each decade has a facsimile sample of something he either worked on or something that is a personal item. All this gives you quite the insight into him and it really is like a little treasure hunt. I received this book as a gift and find that I am often lost in it as I read about him and his friends/cohorts, admiring his work and dreaming about how I can use this inspiration into my own art. A definite recommend for anyone who just loves to have a hands on experience. I have a few coming in from the library off the class reading list. Not sure yet if one will be compelling enough to “read,” but I’ll be thumbing through them and will let you know of anything interesting. 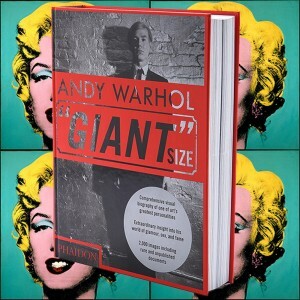 There’s just so many Warhol books out there, so I didn’t want to make just a list that you could find on Amazon et al, but thought some short blurbs from us, Positive, Negative, or “You’ll like if…” might be a nice way for some of us to share our experiences. TY! This is indeed a treasure book. 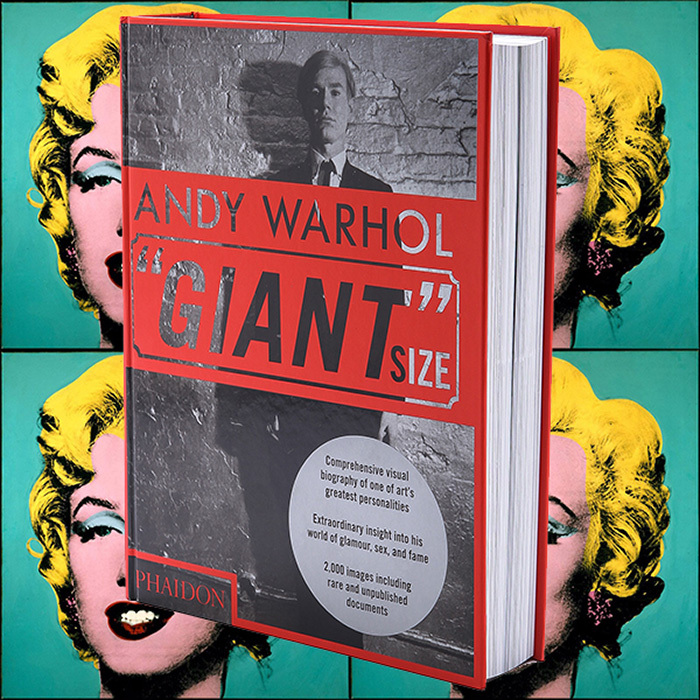 Not only does it delve into Andy Warhol’s past with history on the city of Pittsburg, his religious upbringing and artistic influences, it is a treasure trove of little bits of facsimiles of what Warhol did and little sneak peeks into his world. For instance, in the section 1950-59 there is a copy of some of his graphic design as well as a facsimile of a newspaper clipping showing an auto accident that he used in his death series. When we get to the 60’s we can look at his passport. I received this book as a gift and find that I am often lost in it as I read about him and his friends/cohorts, admiring his work and dreaming about how I can use this inspiration into my own art. A definite recommend for anyone who just loves to have a hands on experience. Thanks so much mondoux! You’re our very 1st book on the list! Woo hoo! I think others will trickle in, and I’ve got to post a few myself. Hope this list can become useful to Warhol MOOC peeps, and any other interested peeps. TY! !